Casa Cuba cigars were personally blended by Carlos Fuente Sr. as a tribute to the early days of cigar making using the time-honored traditions he learned as a young boy from his father Arturo. His intent was to recreate the experience and flavor of Cuban cigars he rolled and enjoyed in his youth, and it is the first cigar Carlos Sr. has blended in decades. Casa Cuba is an entirely new brand for the Fuentes that has been available since late 2013 in limited releases, and these cigars are hand-rolled alongside the family's many remarkable lines in the Dominican Republic at Tabacalera A. Fuente y Cia, though the Fuente name is absent from the packaging and band. 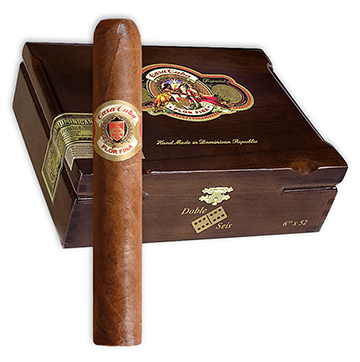 Carlos Sr. selected Cuban-seed Dominican long filler and binder finished with an Ecuador Havana wrapper to produce this medium-bodied cigar, which is Cubanesque in its flavorful simplicity with sweet tobacco, light spice, wood, and creaminess taking center stage. Arturo Fuente does not permit the sale of Casa Cuba cigars online. Please call us toll free at 877-70MILAN (706-4526) for availability.